The beauty of natural stone tile is enough to make this product type a favorite among homeowners and interior designers. However, the real advantage to using stone tile is long-term cost savings. Properties that include the use of marble tile appreciate in value over the years, and the material itself needs little maintenance and upkeep in order for it to retain its wonderful appearance. White marble is a symbol of fine taste, chiefly because this natural stone material is found in limited quantities throughout the world. A newly discovered geologic formation composed of white or off-white marble causes an immediate reaction among those who quarry this product. Until recently, white marble tiles were beyond the reach of many who would desire their floor covered in marvelous, shimmering bright stone. The Nalboor Tiles website is proud to introduce the world to affordable white marble tile, sold in either small quantities or in bulk shipments through Stonexchange. This direct importer and distributor of natural stone materials is based in Miami, Florida, and offers truly wholesale pricing on some of the finest quality marble to be found anywhere. Marble has been a prized material for floor coverings for countless centuries. This natural stone does not readily absorb moisture, does not insulate heat very well, and does not fade when properly sealed and polished. The result of using marble tiles as a floor covering is a beautifully accented kitchen, living room, or bath as well as a natural air conditioning system and low-maintenance investment in the property. White marble is the most expensive of this material type. Much like a flawlessly clear diamond or a virtually transparent rosé wine is considered head and shoulders above the rest, white marble is known as the cream of the natural stone crop. Because the quarries from which this marble is extracted are rare indeed, retailers and flooring product resellers often pay a hefty wholesale price in order to obtain a suitable supply. Stonexchange acts as a direct link between manufacturer and client. This company owns its very own fabrication centers and has ties to the quarrying operations located overseas. Customers who purchase bulk quantities of natural marble stone from Stonexchange will realize substantial price discounts. This is true for the company’s white and off-white marble varieties, the most sought-after marble color shades in the industry. Lightly shaded marble floors have always been extremely popular in Miami and throughout the state of Florida. This is partly due to the western and southern European influence in the architecture seen here. White marble flooring has been a mainstay of Spanish, Portuguese, and French styles of interior design for many years, and this popularity found its way to the Florida panhandle as soon as Europeans began settling in the region. However, contemporary building designs – both commercial and residential – often combine modern interior accents with classic style. It is for this reason that white marble flooring tiles are always in great demand, not only in Miami but across the entire state of Florida. White marble is complemented by darker shades used for furniture, wall decorations, drapes and carpeting. The impact of a tastefully decorated interior comprised of dark-stained bookshelves, medium-shade drapes, and jewel-toned bath areas standing above marvelously polished white marble floors is nearly impossible to describe in words. The white marble tiles featured on the Nalboor Tiles website are of the very highest quality. They are fabricated overseas, imported to the United States by Stonexchange, and offered to both commercial and private buyers. The price is truly wholesale because Stonexchange does not purchase from brokers. Instead, the company operates its own manufacturing facilities and is therefore in a position to deal directly with the purchaser. Some of the most elegant white marble tiles are extracted from quarries located in the southern part of Europe, particularly Greece. These in-demand products are not always available in large quantities and the price can fluctuate significantly because of the competition between resellers. Vanilla Oro and Bianco Dolomiti are two of the popular marble tiles offered by Stonexchange, and because the purchaser is buying direct from the manufacturer, the price varies little from one season to the next. Vanilla Oro is a fantastically polished white marble, ivory/cream in texture with light-to-moderate streak patterns. This material has medium reflectivity and complements medium-to-dark room accents. The tiles produced by Stonexhange and offered through Nalboor Tiles have been expertly crafted, are machine-cut with perfectly straight edges, and have been given a high-quality top surface polish. This product is fabricated in a standard size of 24″ X 24″ with a thickness of 3/8-inch. Non-standard sizes are also available. This type of material can cost as much as $11.00 per square foot at retail flooring product outlets, but those who purchase from Stonexchange can expect a substantial discount. 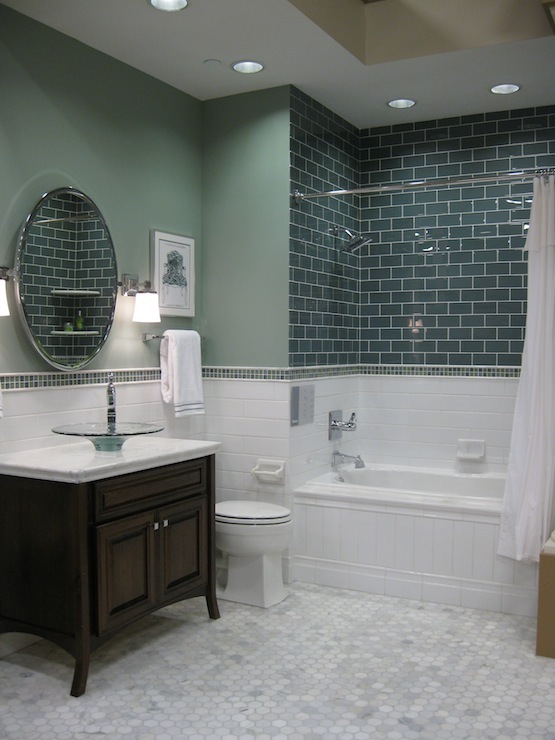 Depending on the amount of tile ordered, the cost per piece can be as low as $6.95 per square foot. One of the premium quality natural stone products available from Stonexchange is Bianco Dolomiti, a superbly brilliant white marble tile that compares more than favorably with the treasured Calacatta Gold tiles produced from quarries in Greece. This marble stone is nearly pure white with thin gray streaks. It is similar to white carrara style marble but is somewhat more lustrous in appearance, with finer, straighter lines. This product is a favorite among interior designers who wish to produce a stately atmosphere in a hotel lobby, resort bath area, or office foyer. Bianco Dolomiti is offered through Stonexhange in standard 12″ X 12″ tiles with 3/8-inch thickness. Non-standard size tiles are available upon request. The standard size tiles are priced according to quantity ordered and can cost as little as $7.95 per square foot. Nalboor Tiles also features several other natural marble tiles on this website. Among them are Nuevo Crema Marfil, a light cream/beige tile that complements or replaces most other crema marble shades, and Crema River, a light mocha shade marble that is extremely popular with those who decorate an interior with other neutral colors. These products match up quite well with similarly shaded window sills and thresholds imported and sold by Stonexchange. Quite simply, the greater the amount of tiles purchased, the greater the savings. This is true for all of the natural marble stone tiles showcased on the Nalboor Tiles website. Stonexchange focuses primarily on commercial customers because the greatest cost savings comes from ordering full crates or full pallets of marble products. Stonexchange has a constant supply of marble tiles, window sills, and thresholds being shipped from overseas to its distribution center in Miami. This is great news for installers, construction subcontractors, and area dealers of top-quality natural stone flooring products. The cost savings are tremendous because Stonexchange orders product in huge quantities. This saves on import fees as well as transatlantic freight prices. The savings are passed on to the customer, who enjoys truly wholesale pricing on large-sized orders. Again, the more material purchased, the greater the discount. Even better, the inventory at the Stonexchange distribution center is always high volume, meaning that the desired product can be packed and shipped to customers throughout Florida in just one or two business days. The mild climate of Florida means there is no off-season in the construction or remodeling industry. It also means that product for interior decorating and design, especially flooring, must always be available for purchase. Smaller retailers of flooring products find it difficult to maintain a large inventory of highly sought-after marble tiles, but Stonexchange can fill the customer request for white marble flooring tiles at any time of the year. Nalboor Tiles features marble products that are standard size, but many of the white and off-white flooring tiles are available in other sizes as well. Some material types are available in 12″ X 24″ and 36″ X 36″ sizes. If these product are required in large amounts and the order cannot be filled with existing inventory, Stonexchange will have the tiles custom fabricated at no extra cost to the buyer. Any potential customer – whether commercial or individual – needing further information on purchasing the world’s finest white marble flooring tiles is invited to contact Nalboor Tiles and ask about truly wholesale prices on natural marble stone. Stonexchange has built their business around the simple principle of one-step manufacturing and distribution, meaning that prices reflect the absence of middle-level resellers. Get to know the manufacturer/distributor by talking to a service consultant today. Also, get ready to enjoy the beauty and functionality of top-quality white marble tiles at prices that beat the competition.